Florida Gators soccer midfielder Tessa Andujar dribbles the ball in toward the goal during the first half. 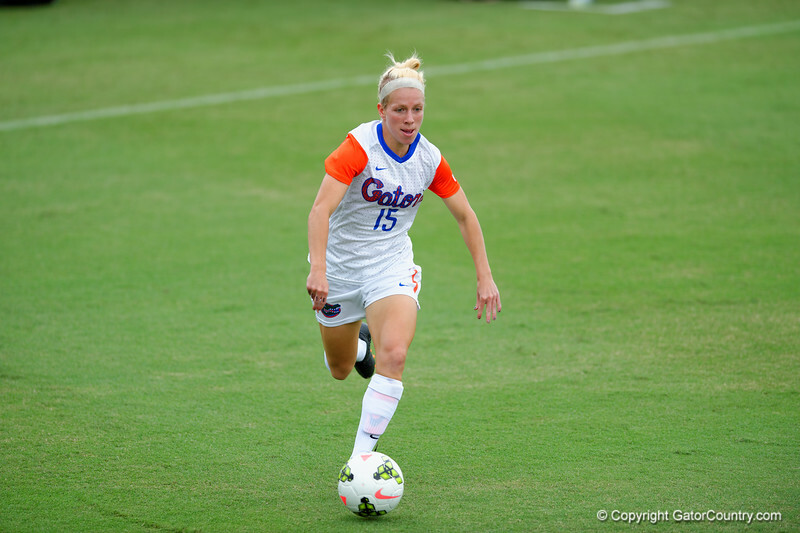 Florida Gators Girls Soccer vs Missouri Tigers. September 28th, 2014. Gator Country photo by David Bowie.